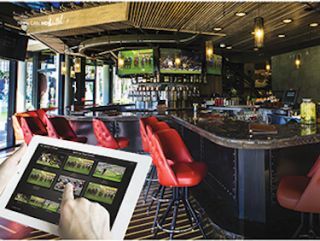 The What: WyreStorm NetworkHD Touch is launching a free app named Touch for iPad that enables live video preview and control of NetworkHD 100 and 200-Series AV over IP systems for both single screen and video wall applications. The What Else: Touch enables drag-and-drop selection of content onto each display for convenient switching of any number of sources to any number of displays or video walls with real time I/O video previews on the iPad screen. Touch is configured automatically via downloads from the central NetworkHD system controller to ensure users have access to their source content in a matter of minutes. The app displays a live preview of all selected content is displayed in main video placeholders on the iPad screen, as well as live video thumbnail previews of connected sources along the bottom of the screen. Displays can be grouped into rooms, areas, or video walls, with users able to save favorite preset configurations and even switch all displays to a single source. For video wall applications, Touch makes it possible to access settings and change preset display configurations within the NetworkHD 200 Series system and then drag and drop new content onto the iPad virtual display placeholders in real-time. Wall layouts can be changed, saved, and recalled with live video previews of all sources and selected content displayed on-screen at the same time using WyreStorm’s QuickSync technology. Touch can also be integrated with the WyreStorm Enado control system to enable control of the source devices themselves and take advantage of Enado features, such as BYOD for rapid addition of control devices by scanning the Enado QR code. The Bottom Line: NetworkHD Touch is available free from the App Store in Q3 of 2016.